Did You Know These Social Security Tidbits? 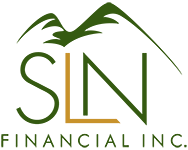 | SLN Financial, Inc.
How much do you know about Social Security in 2018? Because of the program’s complexity, chances are you don’t know every little piece of information. These four facts serve to fill in some gaps in your Social Security knowledge. If you’re self-employed, you’ll pay full tax rates. Instead of your employer matching 6.2% and you covering the rest, you’ll be paying the full 12.4% yourself. Luckily, you have a tax deduction equal to the employer portion on your federal income taxes. Fully retired? Don’t expect more money. Many people think if you claim your benefits early before you’re fully retired, that you’ll get bumped to a higher amount once you finish working. That’s not the case, unfortunately. Take advantage of your COLA benefits. Each year, your cost-of-living adjustment (COLA) is built into your benefits starting when you turn 62. For 2018, the COLA rate is 2%. But, if you wait, say, until age 70 to claim your benefits, that COLA rate is compounded – giving you eight years of compounded COLA rates. Get more out of your Social Security with our assistance. Feel free to call us and we can help you optimize your benefits!